Two of them came today, dragged me out of my cage and put me in some kind of improvised maze made out of books and old toilet tubes. A labyrinth with no escape. They were treating it like some kind of game, laughing and squealing as I desperately scrabbled from blind alley to blind alley, but I knew it was no game. They're trying to crush my will, to grind me down. They can take my freedom, but they will never take my soul. My name is Edward, and I AM A HAMSTER. 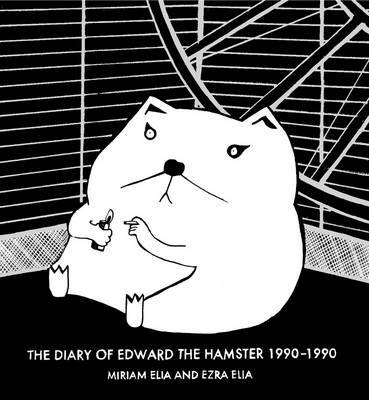 Published in memory of Poet, Thinker and noted rodent Edward the Hamster (1990-1990), this delightfully gothic hardback edition of his personal journals constitutes a celebration of his (very) short life. It's also very funny ('Eight months old today. Oh, the things I've seen. The Wheel. The Tray. The Ball. The Whe- no, I forget.'). Complete with illustrations of our hard-smoking existential hero, this is both a book for anyone who has loved and lost a beloved pet -- and a moving essay on the nature of suffering and the hamster condition.